I love making two pieces out of one garment in my closet. That's why I love to layer dresses under skirts or tops. This grey peter pan collar dress was purchased from ASOS about a year ago and hasn't been seen on the blog since then! 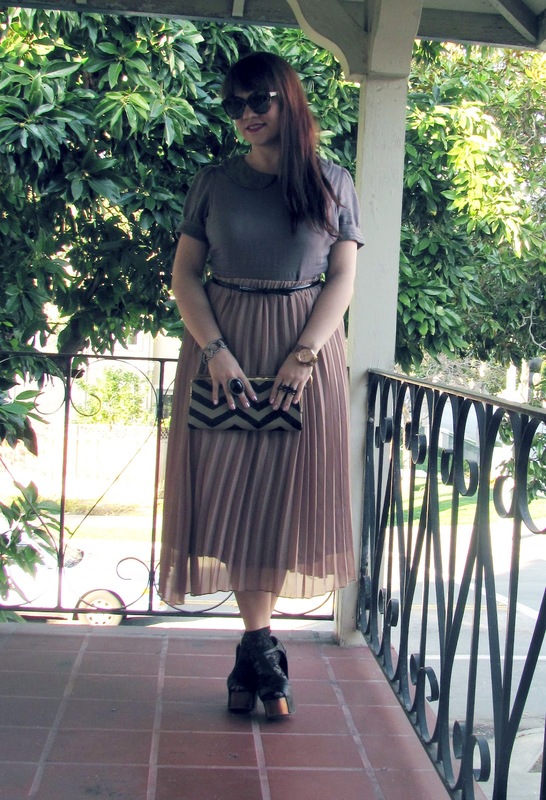 Layered on top of it is my latest Poshmark purchase--a pretty pale pink pleated skirt (say that five times fast!). Keeping with the ladylike theme this outfit was taking, I added the patent bow belt and lace socks I've had in my closet for a while. 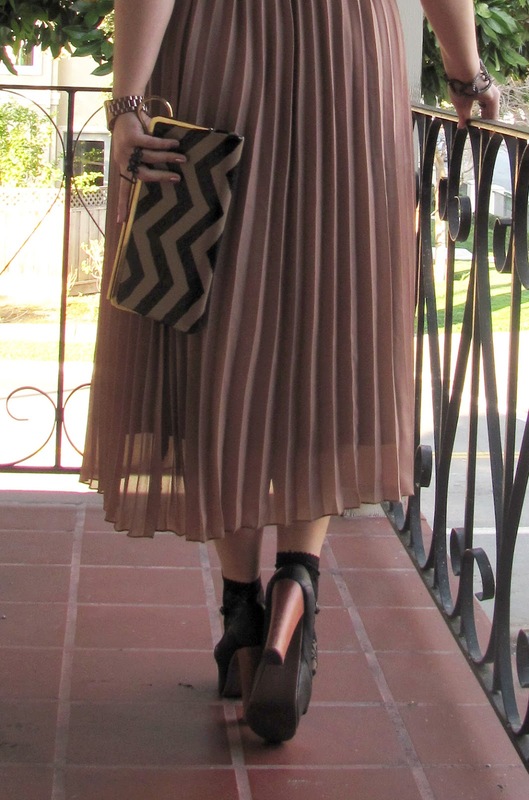 But the pièce de résistance definitely has to be the chevron clutch I DIY'd! I'm so thrilled about it that I'll be showing you how I made it tomorrow, so definitely check back! Spring cleaning has come a bit early for me this year. Over the weekend, I got the itch to go through my apartment and find a bunch of stuff that I can get rid of. So far, all I've really succeeded in doing is making a giant mess while filling two giant bags full of stuff. Though I've known that I have way too many clothes, bags, and shoes, I was really surprised by how many beauty products I have. How many lipsticks, eye shadows, and hair products does one person really need? Though it felt like such a waste to throw this stuff out, I got rid of a quite a bit. Go me! How do you stay on top of your beauty cabinet? I'd love to hear your strategy! Love the bag! Can't wait to see your DIY! I cannot believe you made that clutch. I read lots but rarely comment...can't wait to see how you did it. 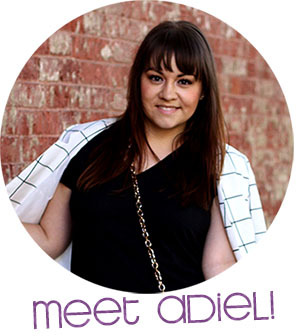 Win a Dress from Shabby Apple! You couldn't wait to get rid of the makeup for another two weeks? :) JK My point is that I'm excited to see you. 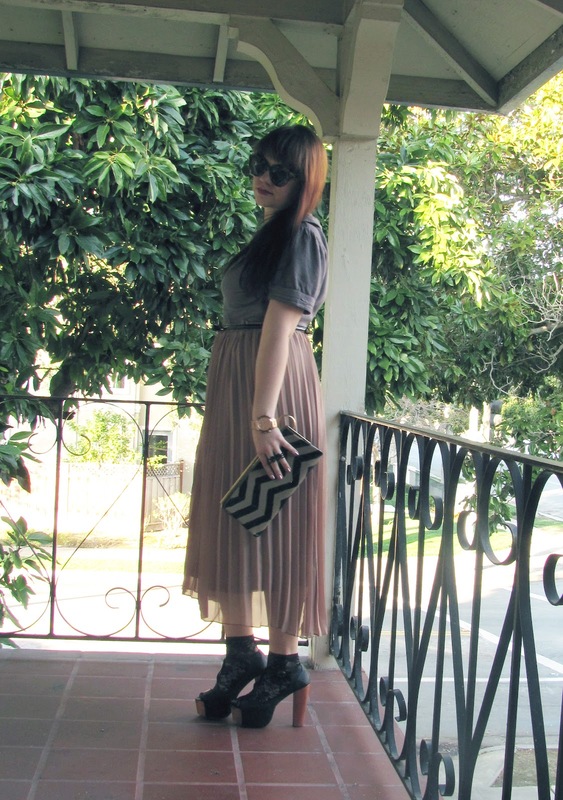 Love that skirt, and the clutch! Looking forward to your DIY post!! I always forget to layer dresses under skirts and give pieces in my wardrobe new purpose. I love that you did that here! 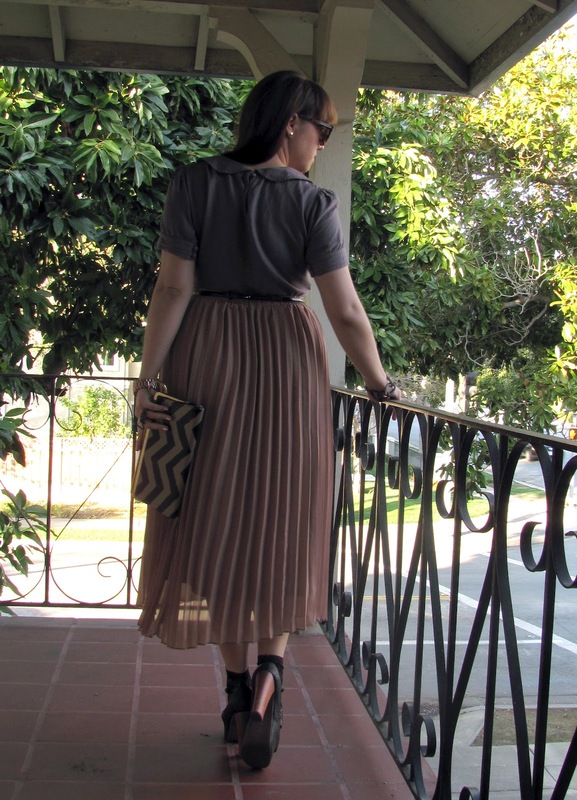 The pleated skirt is gorgeous. Great skirt! Love the peter pan collar. You look oh-so-sweet! 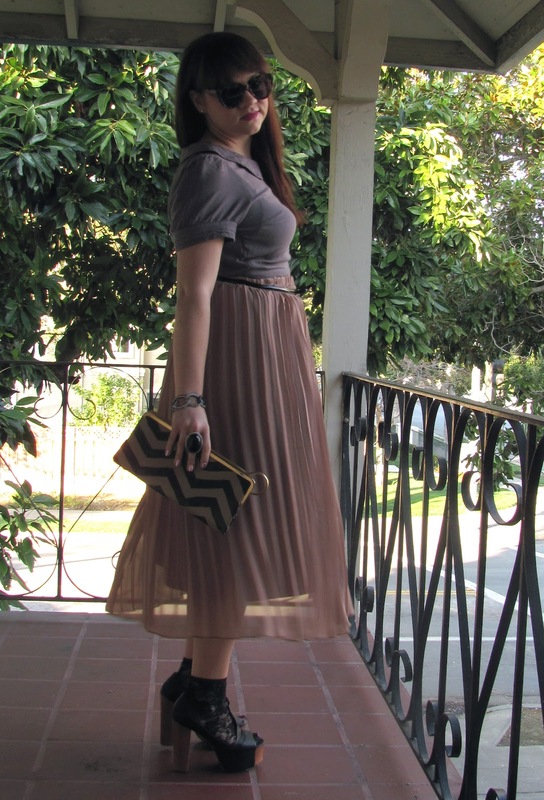 This skirt is just lovely and I love the edginess from the shoes!